If you think that absolutely free of charge, top education is a myth – think again, because Ecole 42 was created to prove you wrong. With a mission to get France back on track in terms of tech and digital innovation, the school was created by billionaire tech entrepreneur Xavier Niel to provide quality training and education to everyone that is willing to dive into the field of computer science. After showing everyone their disruptively innovative and stereotype-breaking nature, Ecole 42 takes to the next level, by giving a chance to young street art talents to exhibit their work in France’s first museum dedicated to street art. 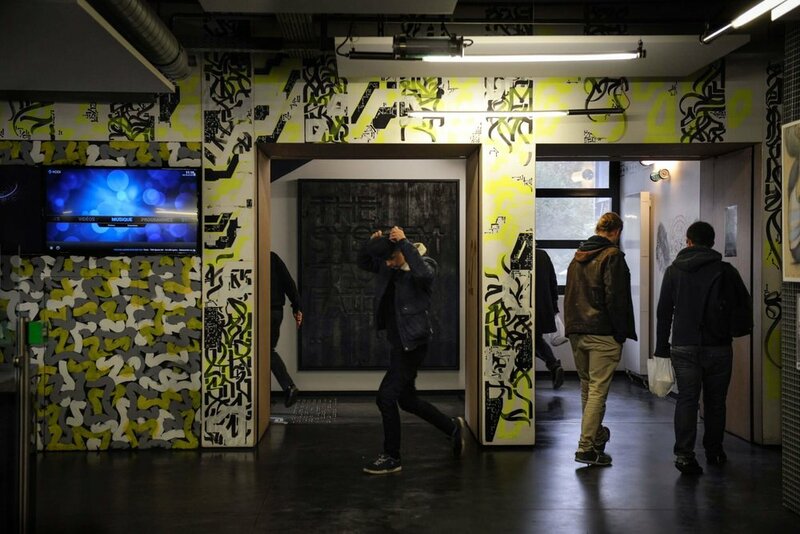 Named Art 42, the space would be open to the public twice a week – on Tuesday and Saturday, and will feature works that have been gathered by the longtime street art collector and head of the ICART’s art management school Nicolas Laugero-Lasserre. The exhibit will display 150 works from artists including Banksy, Shephard Fairey and JR. Aiming to promote the movement of street art, Laugero-Lasserre wanted to have his collection accessible to a wider audience for free, which is why he chose Ecole 42′s democratic environment. Students of the academy will be engaged in walking visitors around the museum, so if you are looking for a nice art time in a young, smart and creative environment – the place is for you! A Russian-Bulgarian fashion marketing student based in Shanghai and Miami, eager to explore every single bit of the mysterious world we live in. Sustainable and Eco solutions enthusiast.